Not a bad weekend; did have a little bit of rain, but much more is needed to get things perked up. Someone told me the weeds are even wilting in the garden. Ted Lowden, Maple Terrace, has returned home from his six week motorcycle trip to Alaska with his two friends. Said it was an amazing experience. Traveled over 1800 miles through many states and many different types of weather; they met a lot of really nice folks along the way. Some places had no people, just long, long roads from one point to the next. He said he’s glad to finally be home. They kept everyone informed on Face Book of the whole journey; was quite interesting. Next Civic meeting, Tuesday, July 19th, 6 p.m. at the Pavilion. Clean up at the Pavilion on Wednesday, July 20th, 10 a.m. Volunteers would be appreciated. Any help will be good. St. Vladimir’s Church has pierogies for sale. Please call 570-928-1099 to order. Congratulations to Trevor Kinsey for Honor Roll status. Also, congratulations to Kyler and Paige Burke, Layton Shea, Madison Burke, Aaron Kinsey and Jacob Williams for Distinguished Honors. Good job, kids, and keep up the good work next year. Happy Birthday wishes to Matthew Santarelli and Barbara Craig, 17th; Adam Aharonian, 18th; and Evalyn Lansberry and Sr. Ella Mae McDonald, 20th. Hope you all have a great day. Adel Bradshaw, West Chester, enjoyed a few days at her home on Church Street. Joe and Diane Fanning, Landenberg, are spending some time at their home on Church Street. The weather looks favorable while they’re here. Next 4-H Model Rocketry club meeting will be on Monday, the 18th, 2 p.m. at the Extension Office in Dushore. From Mr. Neubauer’s little brown book: July 10, 1979: Cloudy, mild and 62 degrees. Our weather, same date, 2016: Clouds and sun, breezy and mild and 75 degrees. Guess that’s the news for this time. Enjoy your week; I hear it’s to be nice and the following week nicer yet, so get out and about. 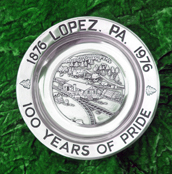 Have news, call me at 570-928-9238; mail me; see me; or e-mail me at news@lopezpa.com. I’ll get it in for you. I’ll be here next time and thanks for reading. Tony Pivinski on Here is an interesting graduation photo. Who do you recognize????? Carolyn Peworchik on Here is an interesting graduation photo. Who do you recognize????? Sandra Kriel on Here is an interesting graduation photo. Who do you recognize????? Alex on How about a step back in time? Bob McGuire, Jr. on Here is an interesting graduation photo. Who do you recognize???? ?